One can also call Sankalp India Foundation on 94800 44444 for blood availability information in all the major and safe blood banks in Karnataka. In case of unavailability, the Sankalp Emergency number can be called at 98801 32850. There are also many other NGOs, like Rashtrothana Parishad, that have blood banks. The Bombay Blood group is the rarest blood group. It occurs in 1 in 17000 cases. Considering its rarity and the limited shelf life of whole blood, people belonging to this group are asked not to donate. Instead they are asked to register as donors (http://www.bombaybloodgroup.org/) and will be contacted in case there is a need for it. 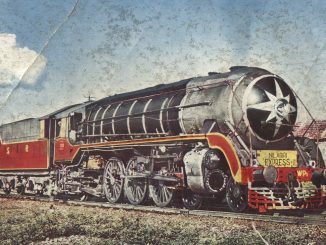 The author reminisces about a time when steam engines ruled the rails, and when the ‘backside gate’ of the City railway station was still the entrance.